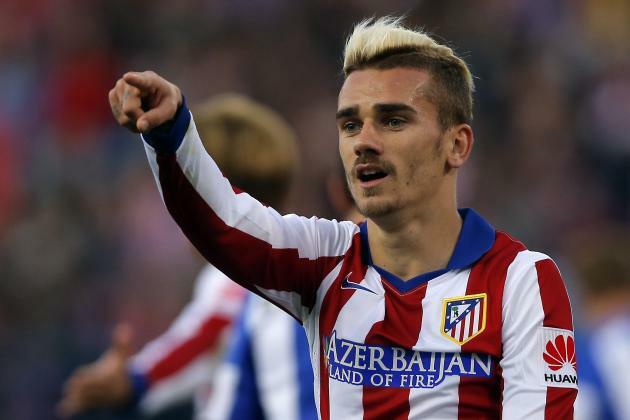 Manchester United manager Jose Mourinho have reportedly refused to give on the pursuit of Atletico Madrid winger Antoine Griezmann. The France international was heavily tipped to join the Europa League holders during the previous campaign, but he decided against the move after Atleti had their transfer embargo withheld by the Court of Arbitration of Sport. According to Don Balon, the Portuguese tactician is planning a trip to the Spanish capital as he aims to convince the Frenchman to join United ahead of La Liga rivals Barcelona. The Frenchman has looked off-colour during the first-half of the season with Atleti, and Spanish journalist Guillem Balague has recently hinted that United are on the front foot to pursue the forward next summer. Griezmann currently has an £88 Million release clause in his contract, and this is well within the reach of United, who have previously spent a similar sum to re-sign Paul Pogba from Juventus. Pogba has evolved into a key performer for United at the heart of the midfield, and his compatriot would identically provide a boost with his versatility in the attack front. Meanwhile, a contrasting report from The Independent has suggested that Mourinho has ‘cooled‘ his interest in both Gareth Bale and Griezmann due to the progress shown by Anthony Martial. The Frenchman has become more ruthless in front of goal, and this is reported to have changed the manager’s transfer plans for the future.